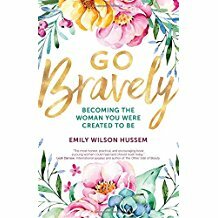 I can't give a full review of Go Bravely because I've reviewed it for Catholic Library World and am prohibited from doing so, but I just want to say that this book is amazing. It's basically a life manual for teens and young women. I wish I had this book 25 years ago! So, if you are a young woman or if there is a young woman in your life, get them this book. It just may change their lives. The retailer Target announced in late 2017 that their Cat & Jack line would feature sensory-friendly pieces as well as adaptive clothing for those with physical disabilities. Target’s internal design team created the 40-item assortment with features like side and back snap and zip closures and hidden openings for abdominal access, all in an effort to make getting dressed easier for everyone (kids and parents!). “It’s our goal at Target to always make sure we have products that fit our guests’ needs, and all at a reasonable price point. We heard from our guests—and members of our own team—that there’s a need for adaptive clothing for kids that is both fashionable and affordable, so we set out to create exactly that,” said Julie Guggemos, senior vice president, Product Design & Development, Target. Some highlights from the assortment include outerwear with zip-off sleeves, footless sleepwear and diaper-friendly leggings and bodysuits. Another plus? The clothing is made from extra-soft, comfortable and durable cotton knits. Children with sensory issues (including those on the Autism spectrum) can often have a hard time with clothing. A tag, inseam, or rough material can send them into meltdown. Having more choices available for children with special needs is wonderful. One can only hope more mainstream retailers follow Target's lead.